After Steven Kruijswijk and Bauke Mollema, two other Dutch riders have expressed their desire to focus on the Giro. Wilco Kelderman and Tom Dumoulin will both target the hundredth edition of the Italian event, according to De Telegraaf. The only Dutch climbers to focus on the Tour de France will be Robert Gesink and Wout Poels but they won't be riding for GC. Dumoulin and Kelderman are expected to confirm the news on Thursday at the official presentation of the Sunweb-Giant team. While Kruijswijk and Mollema have proven themselves as potential winners of a Grand Tour - the former at the 2016 Giro, the latter at the 2016 Tour - Dumoulin and Kelderman can't be underestimated either. 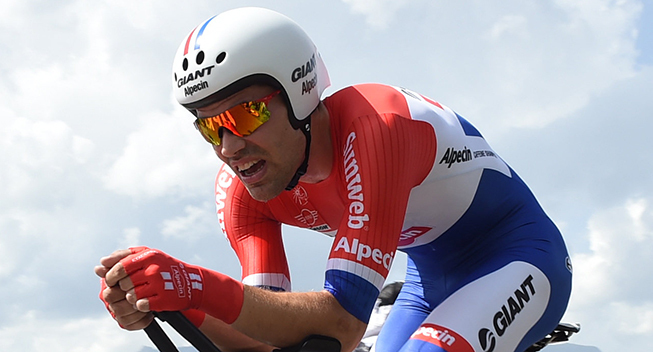 Dumoulin has already demonstrated that he can hold on in the mountains and he was very clsoe to the overall win in the 2015 Vuelta. Kelderman finished in the top 10 at the 2014 Giro but has been unable to reach the same level since that breakthrough performance. As both are TT specialists, they will have a certain advantage with the two time trials in Montefalco and Milan. They will probably specify their schedule and goals on Thursday.